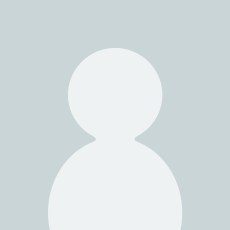 Comment: Ships from the UK. Former Library books. Shows some signs of wear, and may have some markings on the inside. 100% Money Back Guarantee. "Belinda's Dream", "Katy Road Pink" and "Georgetown Tea." The names alone evoke images of glorious cottage gardens and arching trellises laden with perfumed blossoms. Offering gardeners hardiness and ease of care, some roses have even lived for decades untended. All provide their admirers with years of pleasure and enticing fragrances. In this revised edition, rose expert Bill Welch updates the latest information and top sources for antique roses. The improved Antique Roses for the South is filled with gorgeous images and offers chapters on care and propagation, landscaping and arranging, and rose crafts. The comprehensive dictionary lists more than 100 of these magnificent flowers, complete with helpful descriptions. Start reading Antique Roses for the South on your Kindle in under a minute. 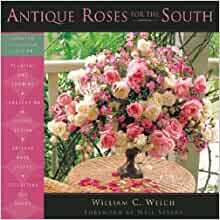 If you've never smelled an antique rose and think you never will, here's a book that could change your mind...sure to provide welcome insight and ideas for anyone already enamored and just as sure to tempt and intrigue those who don't know them yet.--Pam Firmin "Sun Herald, (Ms) "
Antique Roses for the South is a top-notch work of interest both to rose collectors and those who simply wonder what that sweet-smelling rose was that grew by Grandma's porch.--Steve Bender "Southern Living "
This book will be helpful to rose lovers in the lower South and possibly in the milder parts of the Atlantic and Pacific coasts. It will also delight all garden dreamers with its color photographs or roses growing in many landscape settings, which demonstrate the great variety of the genus and the beauty of its many forms. I recommend this beautiful book for its information and its inspiration. Every gardener needs both. The volume itself will ornament the house until the first rose bud opens.--Harriet Jansma "Fine Gardening "
An excellent choice for novice rose growers.--Don Davis "The News and Advance (Lynchburg) "
Antique Roses for the South is a treasure made even more valuable considering the challenge. When you write a book about roses, something will be lost in the translation. It certainly won't smell or look as good as the real things. Given that handicap, Dr. Welch does a superb job of telling about the history, culture and preservation of old roses that have stood the test of time in the hot and humid South.--Mark Stith "The Atlanta Journal-Constitution "
...an invaluable resource...a wealth of information...a comprehensive dictionary of more than 100 antique roses with detailed descriptions.--Dan Gill "Silive.com "
Rose expert and author Bill Welch shares his knowledge about the care and propogation of old roses and landscaping with old roses. I loved this book. I've never had much luck with modern roses, have tried/killed many. But recently I started reading about old roses. The Helpmefind and Houzz (former Gardenweb) fora are great sources of info, and this book has brought a lot of that information into sharper focus for me. It talks about how so many of these old roses have (almost) been lost, and now are found again and propagated thanks to dedicated volunteers and rose nursery owners [but you would not know they exist if you only looked at what's available at Lowe's or Home Depot]. Chapter 7 goes into the taxonomy of roses--all the species and what particular varieties in each group do well in southern climates. I really appreciated the chapters on flower arrangement (excellent and succinct advice) and crafts because, if you are lucky enough and your roses do well, you will have a lot of material to work with. The good news is that this book identifies antique roses that are not seen that often and has some very good pictures of them. There is also some interesting discussion about how some of these roses were found and identified by hobbyists. The bad news is that I was expecting a lot more information on husbandry. For example, there are only two pages in the book dedicated to growing antique roses in containers, but there are no less than 52 pages (about half the narrative of the book, discounting the rose list in the back) dedicated to indoor flower arrangements with roses, drying and preserving roses in displays, etc., which has absolutely no interest to me. I'd recommend this book as a supplemental reference on antiques, relying on other sources for care information. 5.0 out of 5 starsDr. Welch is a rose expert. Dr Welch is an expert and any information he provides is so helpful and accurate.